What Is Root Canal Surgery (Apicoectomy)? Root canal surgery, otherwise referred to as an apicoectomy, is performed by a dentist, endodontist or oral surgeon after the pulp located inside of a tooth’s root becomes infected. 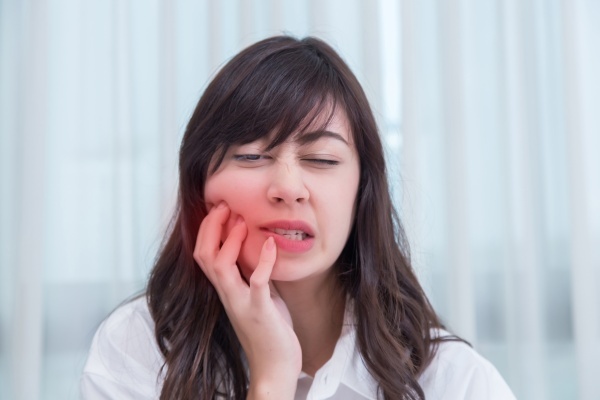 Infected tooth pulp can be a serious concern that causes pain and sensitivity in the patient and can worsen if left untreated. By fully understanding what root canal surgery is and who may be in need of a root canal surgery, you can determine whether the procedure is a possible option for you. The following is everything to know about root canal surgery, including what it is, who needs it and how the process of root canal surgery works. Root canal surgery is a surgical operation performed on patients who suffer from infected tooth pulp. Tooth pulp is the most vital part of the tooth and consists of living blood vessels and important nerves and connective tissue. When the root of a tooth gets infected, the chance of tooth loss is much higher, especially if the infection is left untreated for an extended period of time. Root canal surgery is a fairly simple procedure for most dentists and oral surgeons, although it is a surgical procedure that requires the use of anesthesia to minimize the amount of pain the patient experiences. Who needs root canal surgery? Anyone who suffers from sensitivity or pain in the deeper parts of one or more teeth should visit their dentist and discuss all possibilities for treatment, including root canal surgery. How does root canal surgery work? Although it is surgery, root canal surgery is a fairly simple process that can be broken down into a few simple steps. On your first visit for root canal surgery, the dentist will confirm the diagnosis through an oral examination and dental X-rays. After both the patient and the dentist agree to a root canal surgery, a time is scheduled for the operation. The root canal surgery is completed within several hours, and the patient is able to go home the same day with a healthy tooth free from infection. The process of root canal surgery does not end after the surgery, however, and aftercare is needed to ensure a full, quick recovery. Your dentist, endodontist or oral surgeon should walk you through the entire aftercare process, answering any questions or concerns you have along the way. Be sure to avoid harmful foods that raise the risk of infection, and practice good oral hygiene, along with other recommendations from your doctor. Are you considering root canal surgery in the Santa Rosa area? Get more root canal surgery information at https://santarosaendodontics.com.